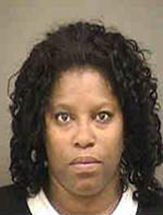 A Charlotte woman is facing charges after police say she helped her son set himself on fire in a videotaped stunt known as the “fire challenge” that’s gaining popularity on social media and has left at least two other children with severe burns. The teen suffered minor burns to his chest and neck, according to a news release from police. Someone who knew the mom and teen called social workers, who called police. Janie Talley, 41, was arrested earlier this month on a charge of contributing to the delinquency of a minor. A phone listing for Talley could not be found, and police records didn't indicate whether she had a lawyer. In the past month or so, the “fire challenge” has increased in popularity on the Internet. Participants are supposed to pour flammable liquids on themselves and set themselves ablaze, hopefully extinguishing the flames before they burn the skin. But it can go wrong easily. People panic when the flames quickly spread and aren't immediately extinguished, then forget to douse themselves with water. Running also gives the flames more oxygen to grow. Superheated air can be inhaled, burning the inside of the lungs. Clothes can catch fire on parts of the body not protected by the flammable liquid. And when open flames cause burns, they are usually second- and third-degree burns which are some of the most devastating injuries that can happen to someone, said Ernest Grant, a spokesman for the Jaycee Burn Center in Chapel Hill. “It just goes against everything we’re taught from when we’re young and defies common sense,” Grant said. In the past three weeks, the burn center has treated a 12-year-old and a 14-year-old who burned themselves severely in the stunt, requiring extensive surgery and perhaps leaving them scarred for life, Grant said. Several videos have popped up in recent weeks on Facebook, which is deleting them as soon as they are reported. The extent of the trend isn’t known, but Grant and others said it can go wrong so easily that it is dangerous any time it is tried. Several cases have been reported across the country in the past few weeks, including a 16-year-old boy in California who suffered serious burns.